Referral Games Start NOW! Participate! The 2nd season of Referral Games has just started. Take your chance to win $10.000 in Bitcoin Rhodium coins! The Games will end on February 28th so don’t waste the time. The previous season had a great success among p2pb2b users. 33 participants got 1 million free coins and already started trading. You can become the next winner and the lucky owner of XRC currency! 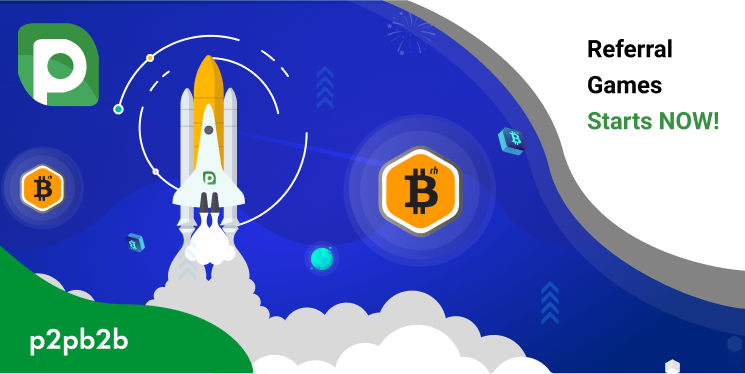 p2pb2b Referral Games are a great opportunity for each trader to diversify their cryptocurrency portfolio. Simply get points for actions within the platform and receive your free coins. Check out the rules and participate on the official page of Referral Games!